<b>Young People's Theatre—Award of Merit, 1979</b><br /> <br /> This award went to the Young People’s Theatre (YPT) and Zeidler Partnership Architects for the conversion of a former TTC building into a theatre production space. Built in the late 1800s, the building first served as a stable for the horses that pulled the Toronto Street Railway Company’s streetcars, then as a generating plant once the company switched to electric power. The building sat largely unused as a warehouse throughout most of the 20th century until it was purchased for restoration and reuse by the Young People’s Theatre. The YPT continues to play an integral part in Toronto’s theatre community today.<br /> <br /> Photo by Marcus Mitanis. <b>Dr. J. Norman Emerson—Award of Merit, 1985</b><br /> <br /> <p>Dr. J. Norman Emerson received this award posthumously in recognition of his four decades as an archaeologist in Ontario. Throughout that time, he served as the Supervisor of Archaeological Studies in the University of Toronto’s Department of Anthropology, and he founded the Ontario Archaeologist Society in 1951. He was known for bringing students into the field for practical learning, and notably for encouraging female students to pursue archaeology alongside their male counterparts. This award specifically recognized his dedication to the excavation of Iroquoian settlement sites, such as the Jackes Site, in the Toronto area.<br /> <br /> <p>Photo courtesy of the Canadian Archaeological Association Website. <b>Arthur Lismer mural at Humberside C.I. —Award of Merit (Heritage Preservation), 1992 </b><br /> <br /> <p>In the seven years leading up to Humberside Collegiate’s 100th anniversary, the school’s Centennial Committee organized a massive collaborative effort to restore and reinstate a five-panel mural painted for the school by Group of Seven artist Arthur Lismer in 1927. The mural, thought to be one of the largest in the country, depicts themes in Canada’s history and its development as a nation. Due to renovations in the late 1960s, the mural’s panels were taken down and dispersed to art galleries across the province. With the cooperation of the National Gallery and the McMichael Gallery, as well as through the art restoration work of specialists and students at Queen’s University, the Centennial Committee was able to reinstate the full mural in the school’s auditorium, now called Lismer Hall, in time for the centennial celebrations.<br /> <br /> <p>Photo courtesy of Humberside Collegiate Institute. <b><em>The Estates of Old Toronto</em>—Award of Merit (Publications), 1998</b><br /> <br /> <p>Liz Lundell’s history of Toronto’s founding families chronicles the estates on which they built their homes, and connects us to the present as she identifies the family names and places that live on today. She tells the stories of long-since demolished manors such as Simcoe’s Castle Frank, Richard Lippincott Denison’s Dover Court, and A. E. Ames’ Glen Stewart, along with those that still stand, like Spadina House, Oaklands, Bayview and the Grange. <br /> <br /> <p>Image courtesy of the City of Toronto Archives. <b><em>The 519: In Days Gone By</em>— Honourable Mention (Publication), 2000</b><br /> <br /> <p>The history of the 519 Church Street Community Centre was commemorated in this short book, put together by Ronny Yaron and the Centre’s Seniors Program. Written in conjunction with Richard Delorme and Ian Warner, it tells the story of the fledgling centre founded in 1975, at a time when the LGBTQ community in Toronto was only beginning to emerge into the public sphere. While the Church-Wellesley neighbourhood was already home to a significant population of gay men, the 519 Community Centre provided an institutional home for LGBTQ advocacy groups, as well as the opportunity through recreational and social programs to develop a community identity.<br /> <br /> <p>Photo by <a href="https://www.flickr.com/photos/vikpahwa/12006326533/ " target="_blank">Vik Pahwa</a>. <b>The Psychiatric Survivor Archives of Toronto— Community Heritage Award (Toronto & East York Community Council Area), 2011</b><br /> <br /> <p>The Psychiatric Survivor Archives of Toronto was founded in 2001 by Mel Starkman, a self-identified survivor of Ontario’s psychiatric system. The organization aims to preserve the histories of psychiatric patients in Toronto, a demographic whose stories are often underrepresented or trivialized in mainstream historical narratives. The Archives, which have been collected and maintained by psychiatric survivors, are intended to help build a critical perspective on imposed psychiatric practices and to continue to emphasize the agency of those who undergo treatment for mental health illnesses.<br /> <br /> <p>Screenshot from the The Psychiatric Survivor Archives of Toronto <a href="http://www.psychiatricsurvivorarchives.com/index.html" target="_blank">website</a>. Torontoist is pleased to be the media sponsor for the 40th annual Heritage Toronto Awards and William Kilbourn Memorial Lecture. 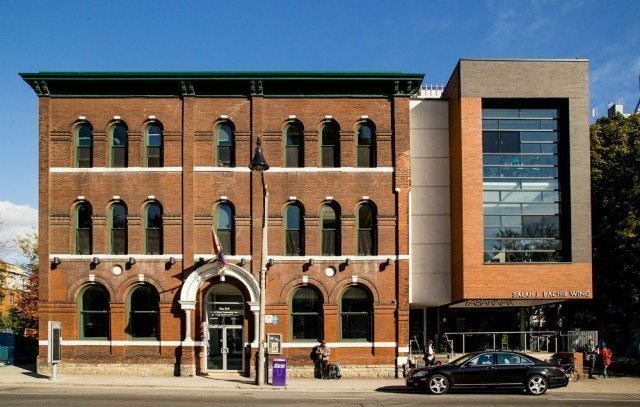 In celebration of the 40th annual Heritage Toronto Awards coming up on October 21, we’re highlighting 40 of Toronto’s unique achievements in heritage. The last four decades of the Heritage Toronto Awards have seen a host of impressive books, short publications, media projects, individuals, community organizations, and architectural endeavours that have made significant efforts to recognize, preserve, and promote the city’s rich history. From now until October 17, each Friday we’ll feature 10 past Heritage Toronto Awards winners in celebration of the event’s 40th anniversary.